Simple pneumatic controls let you raise or lower your seat and rock back in your chair--or remain firmly sitting up straight. 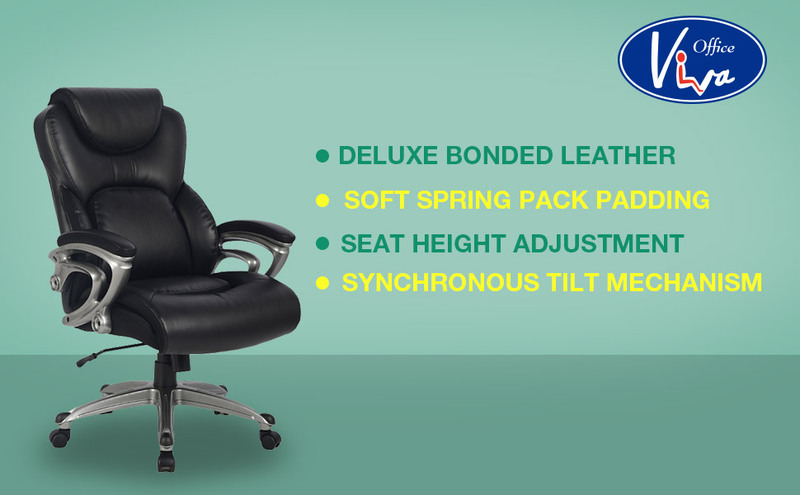 The adjustable office chair helps promote an ergonomically correct seated position, which is important when at your desk or in front of the computer for long stretches of time. To raise the seat, lean forward to remove your weight from the chair, then pull up on the control handle. To lower the seat, stay seated and pull up on the control handle until you're where you want to be.